When people get desirous of fast cash to bring home the bacon, they often resort to pawning anything valuable like a Rolex watch or even Grandmother’s wedding ring with a pawnbroker. The old way of pawning personal luxury assets to get money quick continues to be on the uptick in today’s society, and more people recognise the benefits of the services rendered by a pawnbroker. Ideally, a pawn loan is a convenient and legitimate way to raise money when in a bind. Without the need to lose your asset and mess with your credit, you can acquire the cash you need on the spot, leaving anything valuable you own as collateral. You retain the right to retrieve your asset within your contract tenure or after the term ends, paying off the original loan amount and the due interest. 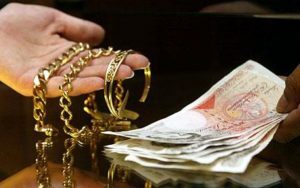 Although the terms and conditions of a pawn loan may vary from one pawnbroker to another, there are some basic rules and regulations that any trustworthy local pawnbrokers in London follow regarding the loan procedures and retrieving the pledge in time. When in dire need of cash, many people walk into a pawn shop to use their luxury item as collateral for a pawn loan. A pawnbroker evaluates every detail of the asset precisely and comes up with an accurate valuation according to its current market price. While a pawnbroker does not carry out any credit check when approving a loan, he/she may only ask for a valid proof of ID to get into an agreement. Although a pawnbroker often serves as a more convenient and reliable way to get instant cash for meeting short-term financial needs, it is pre-requisite for an individual who is willing to pawn their asset to be aware of the loan process along with its terms and condition. A pawn shop may have some unique rules to follow, and thus, it is essential for you to apprehend the entire process and all the significant points, including the maximum loan tenure, extension period after the expiration of the contract, interest rates, default terms, methods of payments and others. This information will aid you to get organised while enabling you to opt for a pawn loan conveniently and with peace of mind. With a collateral loan, the borrower can pay off its loan to reclaim his/her item before the due date or on the day the contract expires. Your pawnbroker may inform you once the contract time expires and offer you 14 days cooling off time to redeem your asset. Once you repay the full amount you owed and the interest due, you will get your asset back that has been stored in insured and secured vaults during the loan term. In instances, when you cannot redeem your asset kept as the pawn, even within the grace period, your pawnbroker may help you in renewing the loan. You will receive a new contract and an additional six to seven months to pay back, by paying off the interest of the original loan term. Conversely, the pawnbroker may sell your item to recover the cash or debt if you do not contact or wish to redeem your item within the specified time. Regardless of what one may believe, a professional and reliable pawnbroker always wants to help his/her valued customers wherever possible. 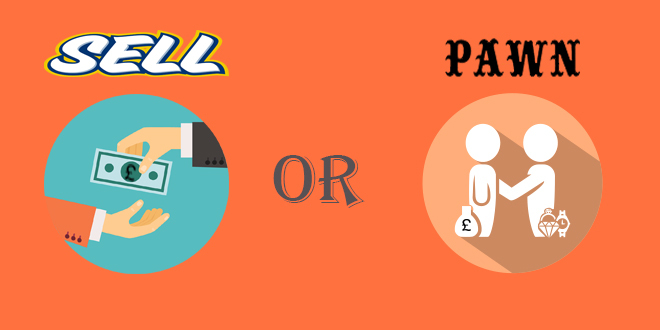 Indeed, a pawnbroker works to make the pawnbroking process more accessible and comfortable for customers who are likely to come back to pawn the same (or other) asset should they want fast cash again in future. While you can secure a pawn loan from a pawnbroker without any credit checks, you can also recover the collateral after the existing loan term expires with no hassles.